As I mentioned a few weeks ago, midi skirts are turning into a regular go-to for me. When I saw this skirt and it’s matching crop top, I knew it would be an amazing ensemble for fall! Each piece is extremely easy to style separately as well, which makes it a very versatile purchase (stay tuned for more ways to style these items!). The fabric is light, which is ideal for transitioning from summer heat to cooler fall weather. I love how it’s fashion forward and fun without being too crazy. It’s definitely a look I’ll be taking to fashion week next month! Some other adorable matched sets for fall include this Stella Jean plaid boxy top and matching skirt (so ladylike! ), this printed neoprene sweatshirt and matching pants (or skirt!) by Cynthia Rowley, and this pale pink Tibi top and midi skirt. The pink set is a bit unexpected for fall, which I adore! This ensemble is so fun, love the print. Love versatile pieces like these. 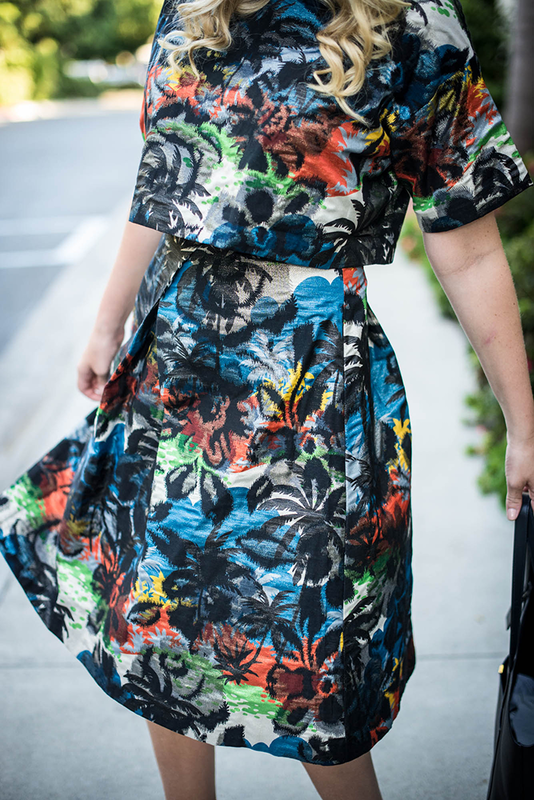 The print is beautiful and the styling possibilities are endless! Love the palm print, so unique. Yes! Love the matchy matchy look! I am sooo jealous of your closet. Everything you own is so divine! You cannot go wrong with Topshop’s matching prints! You look so pretty Merritt, that shade of lipstick, amazing on you!! this is such a stunning print! Also, loving your statement lips and earrings. Love this print, it looks stunning together but I also love the idea of wearing it as separates. Gorgeous as always! Such a fun fabric and set. Love that each piece can be styled separately as well. Eager to see them on their own! This top and skirt set is so fun! Such a cool print! What a great outfit Merrit, love the pattern on pattern. So pretty! Love Tooshop’s matching prints! You look gorgeous! This matching set is so fun! It is perfect for fashion week. I love how you styled it with the bold lip. It looks great on you! 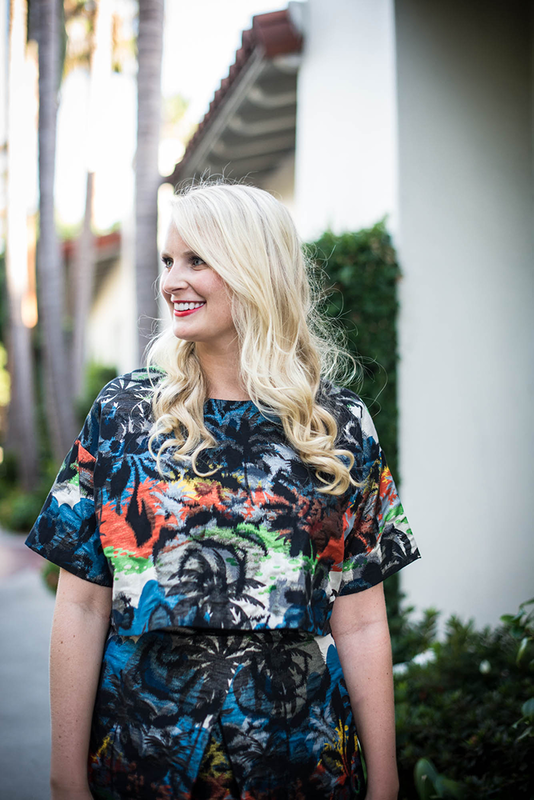 This pattern is so fun and looks so great on you – I could never pull the look off! How chic is this top and skirt?! Love it girl, look fabulous! how beautiful!!! Love this midi skit take on this trend! I love the tropical trend! 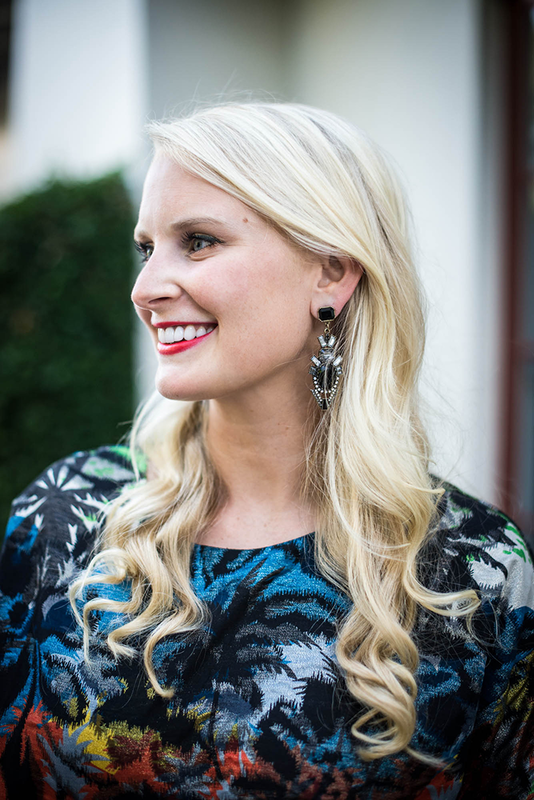 I just recently posted a “Totally Tropical” shopping guide on my blog! I love this matching set!! So beautiful and I can’t wait to see what else you style with it! Love it. You did that. I love Jean Michel-Cazabat! I have a couple of his stilettos and they are the best fit and style! Love this look Lady! Hopefully I’ll see you in NYC this Sept for NYFW!